If you are foreclosed on, and the bank is not able to recover the full amount borrowed, the difference is considered income. You might find yourself having to pay income taxes on the amount you were not able to pay back. Consult with an attorney or CPA to learn how a foreclosure will personally impact you in Fresno. Losing your house isn’t fun. The prospect of being homeless can cause stress, depression and lowered self-esteem. Losing your house is a loss of comfort, shelter, and recluse. But remember, this happens to people every day and it will pass. Here at I Buy Houses Fresno, we can help you avoid this situation. The fastest and best option is to sell your house right away. However, if you are facing foreclosure you might not have the time to wait for the traditional listing process. In addition, a listing will incur costs upfront. If you have missed mortgage payments, coming up with the cash to fix, repair and upgrade the house may not be readily available. You can choose to sell your house quickly to a professional homebuyer. 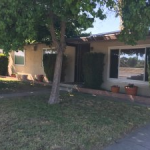 I Buy Houses Fresno can make you a fair offer on your house, allowing you to sell quickly and walk away from the troubles you have been facing. Not all homebuyers are the same. Before you agree to sell your house to a homebuyer, make you have run the numbers and that you won’t be hit by any hidden fees or charges. I Buy Houses Fresno is a full-service buyer. We handle everything from start to finish so you can get out of your difficult situation quickly.